What beautiful writing. The crows came to life (not always pleasantly) for me. They are intelligent birds and provide a service by dealing with vermin and carrion; it’s only when they are aggressive that they can be frightening. I never experienced any of the aggression, but I knew several people who had. Great story. I feel as if I know these (your) crows personally, now. You’ve reminded me of a story about my dad’s bald spot, too! They were a permanent part of the neighborhood and the park. Almost everyone hung their clothes to dry on the balcony. We had three clotheslines and used clothespin plus wire hangers to dry the clothes. The crows liked to steal the wire hangers to use in their nests. They also liked anything shiny, just like humans. This was very interesting. Crows are very intelligent and can pass along to their off-spring information about people who have threatened or harmed them…this according to a PBS documentary about research done on crows. I’ve seen “The Birds” dozens of times, and it still scares the begeebers out of me. I don’t know if you’ve seen the video out on the web where the crow bends a wire to pull up a little bucket of food. It’s amazing. They are extremely smart and have adapted well to living in large cities like Tokyo. They’re also beautiful. I’m not sure I could watch the movie again. Once was enough for me. As another poster said, your writing is beautiful. This piece is especially flawless. In addition, I learned about seven new things I did not know. Due to your lyrical phrasing, I think these new ideas will stick. I am floored. Thank you for writing this essay. Wow. Just… wow. I’m with you on the bird fears, but my problem is with all birds that even think of coming in my direction. Can’t imagine walking among them. Your ending is a delight. A great laugh to start this day of perpetual motion. Thanks, Myra. 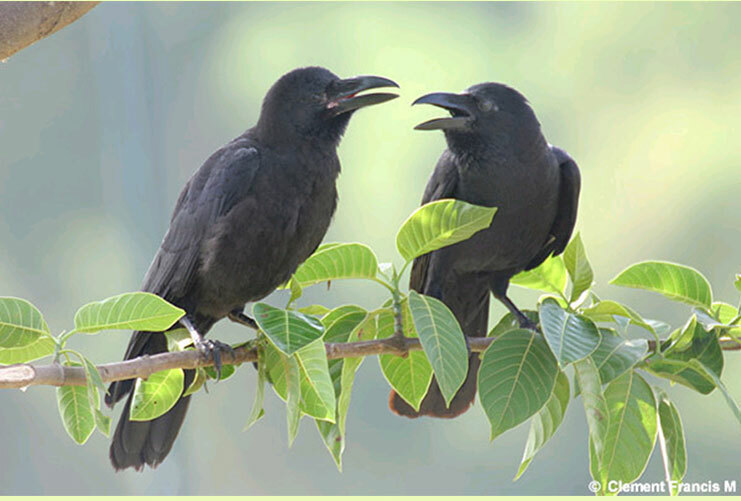 The crows in Japan and the big, jungle crows, and they tend to be aggressive during the spring. All the other birds were polite. I like bird-watching, and we keep binoculars near the glass sliding door in the back of the house because we have a bird feeder in the yard. It’s exciting to see them up close. If the crows haven’t bothered you, no need to worry. I have worried a bit about bats myself, but not so much.